The cool fog that spends most of the season hugging the southern coast of Ireland can leave you wishing for a brighter day, but you can always find your sunny weather inside the warmth and comfort of Patagonia's Off Country Crewneck Sweater. It has a soft, skin-pampering blend of recycled fabrics (48% cotton/47% polyester/5% other) that feels broken-in and welcoming right from the start. 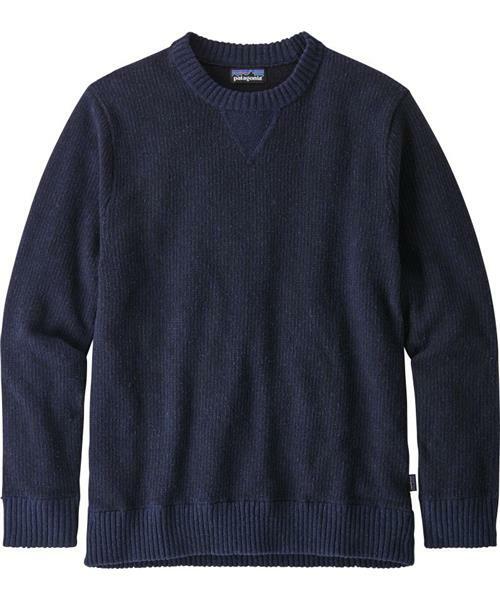 The classic crewneck design goes with almost anything and features a fisherman’s stitch, rib-knit cuffs and hem, jersey stitch detailing at the center-front collar and the elbows, and a hip length that pairs well with other layers.